Thank you again to everyone who submitted work for this issue. As so frequently happens, we had some tough choices to make here. Unlikely Story #10: The Journal of Unlikely Entomology will be out in November. We can’t wait to share these stories with you! In the meantime, we continue to read submissions for Unlikely Story #11: The Journal of Unlikely Cryptography. The guidelines can be found here. 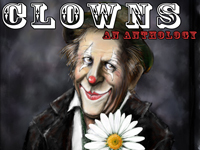 We’ll be reading for our Unlikely Coulrophobia mini issue soon.